On Friday, Bloomberg reported that industry groups including the American Beverage Association, the National Restaurant Association, and the National Association of Theatre Owners of New York State have filed an Article 78 petition at the New York State Supreme Court against NYC’s Big Soda ban. In the petition filed on Thursday, the petitioners termed the New York city’s Board of Health’s ban on large sugary drinks as “unprecedented interference” with consumer choice. The petition claimed that the city authorities had overreached themselves in imposing the ban and were ignoring the rights of citizens to make their own choices. 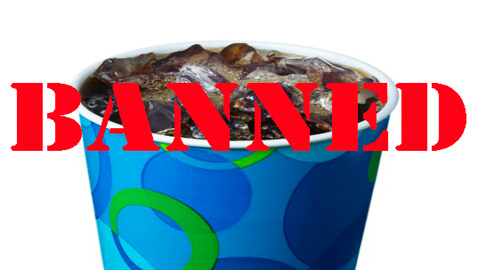 The ban was approved by city authorities following Mayor Michael Bloomberg’s plan to limit the sales of sugary soft drinks to 16 ounces a cup in restaurants, movie theaters, stadiums, and arenas. However, convenience stores and groceries have been kept outside the purview of the ban, which is expected to come into effect from March next year.